Perhaps it's a response to the increased pressure on yeshivas to ensure that those who claim to be studying Torah full-time actually do so, but whatever the reason, the leaders of the Gur hassidic movement want their students to get a good night's sleep. In order to ensure that they wake up well-rested, ready for another day of learning, the movement's leadership has ordered all Gur synagogues be closed by 9:30 PM. 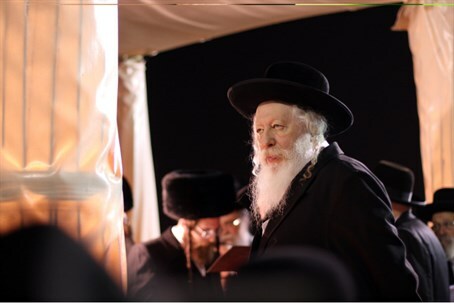 It's an unprecedented move for a tradition that is associated with long, late nights of learning Torah, but the Gerrer Rebbe, along with his top advisors, recently held a meeting to deal with a spate of late morning arrivals in the study halls of the movement's yeshivas. The reason for the latenesses is not clear, but what is known is that many students remain in the synagogue until the wee hours – presumably spending their time learning. But the late nights have proven disruptive to the proper management of the yeshiva curriculum – and now, students will have the opportunity to get a good night's sleep. The new rules, said Gur insiders, were directed specifically at neighborhood synagogues where young students generally congregate. Those responsible for the synagogues are to shut the lights at about 9:30 PM and shoo out the last holdouts – who will then presumably go home and go to sleep, ready for another day of learning tomorrow.